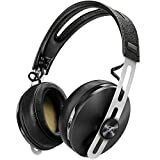 A good pair of headphones shouldn’t just offer an amazing sound, it should also look great and be a fashion accessory. Finding a pair of cool looking headphones with great sound isn’t hard. There are many out there. However, they can easily cost hundreds or even thousands of dollars. Luckily, that is not always the case in the headphones industry. There are some headphones out there that may be cheap in price but they can still outmatch the ones on top. There’s no need for you to save up for expensive headphones such as Beats now that you can purchase cheap yet quality headphones for only $75 or less. This bad boy by SoundMagic is the baby brother of the legendary E10 and the only difference in this one is that instead of aluminum, it uses plastic for its half-in-ear shell. It is comfortable for the ears and the high-quality braided cables make them durable and resistant to breakage. The sound quality for this is crisp and clean plus it provides a well-toned balance making it applicable to any musical taste. This odd-shaped earphone from Sony is designed to sit well even in the most fussy of lugholes. Its in-ear function is super comfy and can be difficult to dislodge from your ears. The bass output may not be that loud but you will still get a wide soundstage that can cater to even the trickiest of rhythms. This headphone may be a bit plasticy in appearance but it is something that bass-heads wouldn’t want to miss out. The Jax can deliver a loud low-end extension with great energy and little distortion. The treble and midrange frequencies don’t easily get overpowered but the vocals may need to be a bit fuller. This earphone looks to be more luxurious in appearance because of the reinforced cabling and the metal bits that are whittled using an aircraft-spec aluminum. Apart from the earphones, you will also get a steel holder that contains 8 pairs of ear tips. In terms of the sound quality, it is quite a bit average and the low frequencies tend to be a bit muddy but the treble output is sparkly. For old school music lovers, it would be nice if you still own a badass headphone brand such as Pioneer. These snazzy headphones are available in 4 different colors wherein it produces a sound quality that can be difficult to ignore. It doesn’t pound your ears from the relentless bass of the music. They also sit comfortably on your head but long sessions of usage can easily cause too much sweating on your ears. Wearing these headphones is similar to putting on your old favorite jumper. They are comfortable, adjustable and the real wood feel is simply irresistible to touch. The sound quality certainly matches its look wherein it is well-balanced and isn’t close to producing something that’s like shoving the music back into your head. This five star headphone is used to be at $200+ and now drops down to only less than $150. That huge difference in the price and well-put rating certainly makes it difficult to ignore and definitely a must buy. The K451 feels light on the head but they are sturdy enough to be put inside a bag. It can deliver a rich, solidified bass without drowning out the vocals along with a sweet-sounding treble. You can guarantee that no-nonsense is added to this headphone and that is something you can rarely find these days. This bad boy can deliver a big, ballsy sound that surely goes hand-in-hand with its military look. Even so, it can be a bit overly loud if you turn up the volume too high. It is comfy to wear as well and the one-button remote on the wire makes it convenient to use on any smart phone. If you love SoundMagic’s E10, then you will surely feel the same way with the P30. It sounds balanced and exciting that could also deliver a dynamic sound. It may not be perfect when it comes to the treble but it surely goes well with low-res tracks. There’s no built-in mic so this will certainly not be interrupting your music in any way. 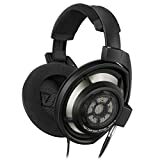 Most of the brands in this list already have a solid foundation when it comes to their wide range of headphone products so you certainly won’t feel skeptical in buying their cheap lineup and may even thank yourself for scoring a solid deal.